When creating your personal growth plan, it’s important to be doing what makes you happy. 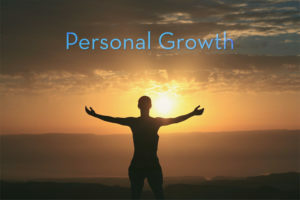 This article will cover some fundamentals of starting a personal development plan, as well as following through with it. Starting out, I’d like to share with you some important ideas about stress management and overcoming low self-esteem. These can be extremely limiting when you’re trying to get in the habit of following your personal development plan. Then I’ll share with you how to start your plan from a place of success and happiness. If you want to learn more about finding your purpose and passion, then as you read to the end of the article, feel free to download the free Your Unique Purpose Formula to help you find your passion and purpose in life. Managing stress and anxiety can seem difficult at first, but here are some fundamental ideas about stress management that will help you get started. Stress is a response based on hormones released by our adrenal glands.1 In other words, when we sense danger (whether real or imaginary), our bodies react to protect ourselves from demands or threats—sometimes called the fight or flight instinct. Not only is stress a physical response, it’s also a mental response. Psychologically we may feel attacked or threatened as well. When this happens, we may quickly and automatically react based on defenses coming from our egos. A little bit of stress won’t hurt (and is sometimes useful), but long-term stress can lead to problematic health conditions.2 You will need stress management if you experience chronic moments of repeated stress and you plan to prevent future health issues caused by that. Managing stress is important because it can get in the way of you following through with your personal growth plan. When you’re starting to learn how to relieve stress and anxiety, it’s important to become self-aware of your thoughts, actions, reactions, beliefs and feelings. We’ve all developed a personality at a very young age to help protect us from situations that we didn’t feel comfortable in or situations we didn’t feel capable of handling on our own. Over time the ego develops reactions that protect us from the same situations, words, and thoughts that hurt us when we were young. When it comes to stress management and personal growth, one of the best ways to relieve that tension and anxiety is by reconnecting to the present moment. Do your thoughts and feelings reflect this very moment? Or are your thoughts staying in the past? Are there limiting thoughts or beliefs that you had when you were a young child, and you’ve held onto them up to this day? Starting a mindful practice, such as mindfulness meditation, can be extremely powerful at stripping the layers of your ego to discover who you really are. Aligning your life by being mindful. Being mindful is about being in alignment with our lives. This takes practice and is like working out your muscles at the gym. By understanding who you truly are, you will start to recognize the automatic reactions that come from your ego. For example, you may remember getting slightly irritated over something that annoyed you, and you may have reacted automatically. When you become mindful, you will recognize these feelings sooner and have more control over your belief systems that create these automatic responses. 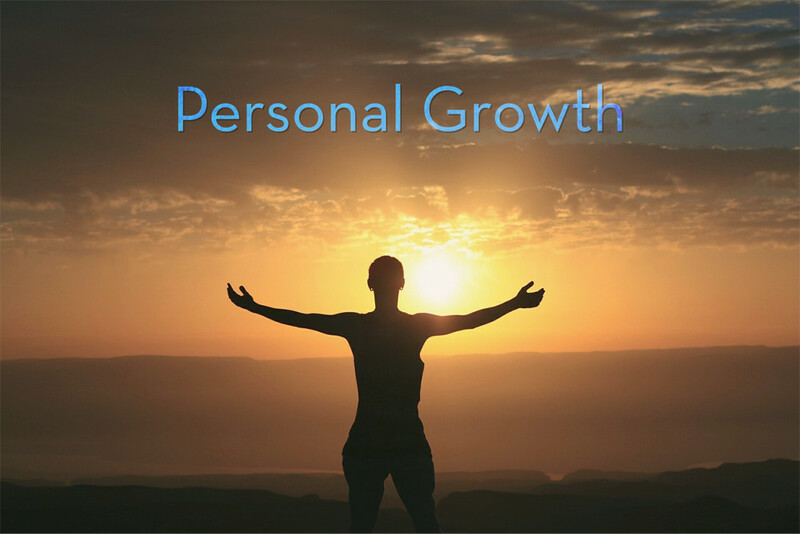 One of the best ways to make sure that you follow through with your personal growth plan is to become self aware of yourself and the present moment. Discovering who you truly are. When I say to look at yourself and truly discover who you are, I mean how is your personality affecting you right now. Where are your automatic reactions coming from? How does your ego affect you? Where are you emotionally right now? What are the wounds and fears you had as a child that still surface from the ego to protect you? All of us look at the world around us and decide how we need to act, or what was right or wrong, based on the actions and reactions of the people around us. Discovering who you are and reflecting a life that’s supportive of what you want to experience will put you in control when reducing the demands or threats that causes stress. It’s easy when you get the hang of it. Just figure out how you want to live your life, as well as where you want to experience your life. Also figure out what doesn’t support you in living empowered—that way you can decide the best way to handle them. Living with an empowered advantage. Having an empowered lifestyle starts with being aware of who you are and how you want to show up in the world. When you can manage your thoughts and feelings during times when you would normally react automatically, then you will become a master of your mind. Managing stress this way allows you to choose a perception of life that empowers you and puts you in control—rather than making you a victim and disempowering you. What are you good at? What do you enjoy doing? These become a unique combination as your genius—and is a powerful way of overcoming low self-esteem with your gifts and talents. If you judge yourself based on the performance of the people around you, you’re putting yourself at a disadvantage because you’re not like anyone else in this world. No one wants to be that fish in the tree. Instead, you want to be the fish that finds its pond. Once you’re a part of the ecological system of that pond, it can thrive. Not just the fish thrives, but the entire pond thrives as well. That’s why it’s important for you to find out who you are and how you bring these special gifts and talents to the world. Overcoming low self-esteem is important because it’s something that prevents you from completing your personal growth plan. Many times, a negative self-image is a result of someone comparing themselves to other people all the time. If you are somebody who’s battling low self-esteem, then you may find that you’re comparing yourself to people who are achieving what you think you should be achieving. Our thoughts, feelings, and opinions about ourselves reflect our self-esteem. Since self-esteem is mostly our subjective evaluation of our own worth, we can have low self-esteem when we don’t feel like we’re good enough—or if we feel we don’t bring anything special to the world.4 If you notice that you sometimes get these negative thoughts, feelings, and opinions then you’ll notice they are automatic—especially when you’re not mindful of the present moment. Once you find your genius then you’re able to look at your life in a way that helps you understand the impact you’re making on this planet. One of the greatest and easiest ways you can see your inner genius is by practicing appreciation and gratitude. When you start to learn how to overcome low self-esteem, then you’ll make more confident decisions. Using gratitude and appreciation together. By practicing gratitude and appreciation, you’ll notice that your life gets so much better than you currently think it is. Look at what you’re able to do, what your special talents are now, and be grateful and appreciate them. That will make you capable of making a difference in the world around you. Remember that you are special in your own unique way, and once you discover that, then you can start bringing your self-esteem up. Many people find that when they practice gratitude and appreciation during their personal growth plan, they’re overall mood improves. Many times, we may hold on to damaging beliefs, which were programmed in us between the ages of two and seven. If others made us feel like we were worthless, we created beliefs around that. These beliefs are sometimes carried into adulthood as we may get triggered by certain responses, words, or actions by other people. Subconsciously your personality works to protect you, and you’ll learn more about reframing your beliefs as you continue to read the rest of this article. To start, become a partner with your subpersonalities. In other words, acknowledge your thoughts and feelings and let them pass without fighting against them. Then bring yourself back to the present moment. At this point you can decide to choose different thoughts, perceptions, actions, and reactions. You can start getting better outcomes and results in life by choosing better thoughts. After getting in the habit of choosing better thoughts, your mind changes and beliefs change as well. You will take better actions and react to things more intelligently. Having a healthy self-esteem will change your life. To change your life with a healthy self-esteem, you’ll need to input better thoughts into your mind. A lot of times we don’t even realize that we’re thinking negative thoughts about ourselves because we’re outside of the present moment. Once you become aware of your thoughts and that most of this is happening automatically, you can start mastering your mind and start choosing thoughts that are more empowering for you. Building confidence with small wins. Often, we don’t celebrate our small victories. What have you done lately that you consider a win? Start by celebrating the small wins, and eventually you’ll build up the confidence and courage to work toward bigger wins. As you start your journey of self-discovery and personal growth, remember to align your personal development plan with doing what makes you happy. Do goals, affirmations, and visualizations work? Setting goals, doing affirmations, and creative visualizations are helpful in creating a path that you want in the world. They can absolutely work to help you create a life you want, but it needs to start in a place that you can find self-discovery, because that opens the door to self-empowerment to live a miracle life that you deserve. For example, make sure that your goals are aligned with what will sincerely make you happy. That way, it won’t end up feeling like a “dead-end” accomplishment when you achieve a goal. The hardest part of doing a personal development plan. For many people it’s difficult to have a successful personal development plan if they don’t know what they really want out of life. It can be hard to follow through with your plan if you don’t know what you want, or what you want to become. Doing what makes you happy is not wanting what other people tell you to want. It’s not achieving what others want you to achieve either. If someone says they have a step-by-step process for creating the life of your dreams, it’s more than likely a step-by-step process for creating the life of their dreams. How to find your purpose and passion in life. On the contrary to what many people think, finding your passion and purpose in life is easy. As you move forward with your plan, just choose things that support and empower you. Find the things that really resonate with you and follow your unique purpose. If you are interested in learning what your passion and purpose is, then feel free to download the free Your Unique Purpose Formula that will help you discover your miracle life. Starting your personal development plan. Before starting on your journey of self-improvement, it’s important to remember that you’re not trying to change who you are. Rather, you are molding yourself into the person that you are meant to become. This starts with finding out what makes you unique, and what talents and gifts you can bring to this world in a way that no one else can. It’s about finding out what your divine intent is as to why you came to this Earth and what your mission is. After discovering who you really are and starting from a place where you are self-aware of yourself in this present moment, then you can start growing. There can be no growth unless you know where you are in this moment because that’s how you’re currently living your life. By being aware of how you’re living life right now, you’ll be able to see where your current roadblocks and limiting beliefs come from. Changing your life on the outside doesn’t help if you’re still struggling with negative subconscious thoughts on the inside. If you start your personal growth plan this way, then you will ultimately be doing what makes your happy. Happiness can open the doors for bringing better health, and more abundance. If you are interested in learning more about living a successful life full of happiness, then here’s a free chapter I wrote in my bestselling book The Art of Success by Jack Canfield and Vince Kramer: Creating a Miracle Life. Turning a crisis moment into a crisis awakening. We all have moments of crisis, and it’s possible to see the opportunities in each one. If you look at each crisis moment from a different perspective, then you’re able to turn those moments into crisis awakenings. What is the lesson that can be learned? What opportunities can you find? Are you able to turn a negative into a positive? This takes practice, but once you get the hang of it then it’s not so hard. A successful personal growth plan starts within your own head. The Your Unique Purpose Formula helps you to get to know yourself and understand what you’re meant to bring to the world. Start with the Your Unique Purpose Formula, if you’d like and discover your miracle life. It’s free to download, and by completing the simple five steps of the formula you’ll align your personal development plan with a life that you truly want. A personal growth plan starts from finding happiness inside you. Find what makes you truly happy, and start including those things in your personal growth plan. I hope this article was helpful, and that it helps you not only start, but follow through with your personal growth plan. If you have anything to add or ask, please leave a comment below.